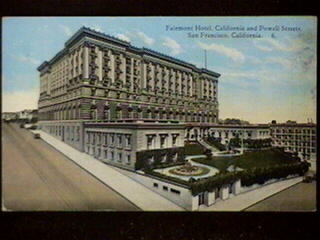 Of all the hotels that Orson Welles could have checked into, only the Fairmont, brooding in the fog atop Nob Hill, guaranteed a suitably Olympian backdrop for the coming clash of titans. 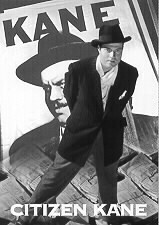 Welles, only 26, had come to San Francisco for the local premiere of his movie Citizen Kane. As everyone knewexcept for, perhaps, Examiner readershis fictional newspaperman Charles Foster Kane was a thinly disguised version of William Randolph Hearst, that papers imperious 78-year-old publisher. The young filmmaker swept into town with both his girlfriend, the gorgeous actress Dolores Del Rio, and his theatrical gifts on prominent display. "Welles entering a room full of common people is like the sun rising over the backyards of Oakland," noted one observer. As the Sun King, Welles held court in his suite, tossing back rum cocktails and spouting opinions in equal measure. Informed that his movies subject was also staying at the 600-room hotel, he displayed noblesse oblige: "Thats all right," Welles cracked. "Im democratic." A confrontation seemed inevitable, and it came the next evening. As he later told director Peter Bogdanovich, Welles was waiting for a hotel elevator on his way to the premiere at the Geary Theater. The doors parted, and there stood Hearst. Welles got in and introduced himself. The old man did not speak. Would Mr. Hearst like to attend the opening night? Welles offered seats. Hearst still said nothing, and when the doors opened again, he exited without a word. As Hearst left, Welles yelled at his back: "Charles Foster Kane would have accepted!" History does not have a record of Hearsts reaction to Welles triumph, but the following days papers did note that a short, sharp earthquake occurred at 10:24 that night. No one was hurt, but the event rattled windows all over town.